MECO DC Isolation Transducer takes various DC Voltage or DC Current signal inputs and provides a Stable, Ripple - Free and Optically Isolated DC load independent output in the form of current or voltage. DTI -RRL has LED indication at Power ON condition. We are trusted as a one of the distinguished trader and supplier of quality approved Transducer AC Current. The offered product is designed at our end utilizing top quality material and advanced technology, in adherence with set norms. This product is highly demanded among customers owing to its reliable performance. We also offer product in numerous specifications to customers as per their requisites. 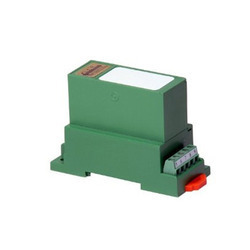 MECO AC Voltage Transducer measures AC Voltage and convers it to an industry standard output signal which is directly proportional to the measured input. 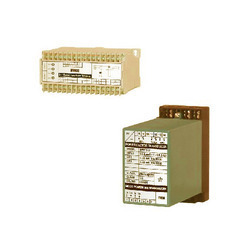 These Transducers provide an output which is load independent and isolated from the input. MECO Tap position transducer takes various Resistance inputs and provides a Stable, Ripple-Free and Optically Isolated DC load independent output in the form of current or voltage. 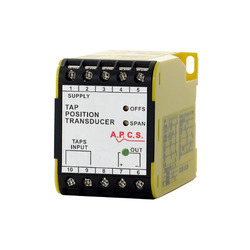 MECO AC Power Factor Transducers measure the power Factor in 1 Phase and 3 Phase electrical systems. The resulting output signal is directly proportional to the system power factor. 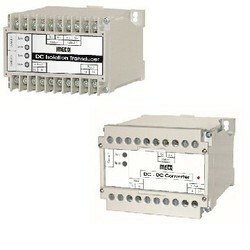 These Transducers provide an output which is load independent and isolated from the input. 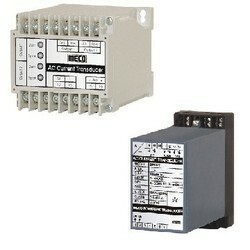 Looking for AC Current Transducer Measure ?